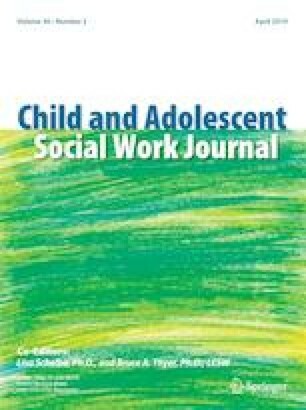 Drawing on Bronfenbrenner’s ecological systems theory, this study aimed to explore key informants’ views about child abuse. Using a qualitative research design, thirty key informants participated in the study. Focus Group Discussions (FGDs) and In-depth Interviews (IDIs) were conducted to gather data, which were analyzed thematically. The findings of the study indicated that children were discouraged from being assertive. Also, it was found that key informants had knowledge of child abuse, the variant types, as well as perpetrators and victims of child abuse. Furthermore, different factors (poverty, cultural and religious beliefs, ignorance of child protection laws, among others) were described by key informants as underpinning the occurrence of child abuse. Moreover, evidence showed that generally, child abuse cases were not reported due to barriers, such as concerns about consequences of reporting, poverty, family ties, stigmatization and unavailability or lack of support systems. Based on the findings of the study, conclusions were drawn and implications discussed. This project was made possible with financial support from the UNDP Country Programme for Ghana. Also, appreciation is expressed to key informants who participated in this study, as well as the research assistant. This research was supported by the UNDP Country Programme for Ghana. The findings and conclusions in this report are those of the author and do not represent the official position of the UNDP. Participation in the study was voluntary and informed consent was obtained from participants. Also, participants were informed about the purpose of the study and were informed that they could withdraw from the study at any time and could stop responding to any question they felt uncomfortable with. Information obtained from participants was anonymized and confidentiality was assured throughout the data collection process. Banda, J., & Agyapong, P. (2016). An agenda for harmful cultural practices and girls’ empowerment. Retrieved on June 02, 2018 from https://www.cgdev.org/publication/agendaharmfulculturalpracticesandgirlsem powerment. Collin, M., & Talbot, T. (2014). Does banning child marriage really work? Retrieved May 24, 2018 from https://www.cgdev.org/blog/does-banning-child-marriage-really-work. Government of Ghana. (2015). Situational analysis and major issues: Spatial development framework for the northern savannah ecological zone (2015–2035). Retrieved on February 22, 2017, from http://www.townplanning.gov.gh/files/Volume%20I%20Final%20SDF%20for %20N SEZ%20.pdf. Müller, C., Tranchant, J., & Oosterhoff, P. (2016). Domestic violence and violence against children in Ghana 2015. Retrieved May 22, 2017, from https://mpra.ub.uni-muenchen.de/79534/1/MPRA_paper_79534.pdf. UNICEF. (2013). Advocating for development that leaves no child behind. Retrieved on November 02, from https://www.unicef.org/ghana/Ghana_Booklet_Final.pdf. World Bank. (n. d.). Improving women’s lives: Progress and obstacles. Retrieved December 03, 2017, from http://siteresources.worldbank.org/INTGENDER/Resources/Chapter2.pdf.